Smoked pork chops, using real, meaty, fatty, thick pork chops. Useful in all sorts of ways! 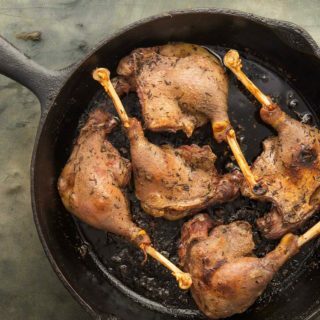 Everything you need to know about how to make duck confit or goose confit at home. 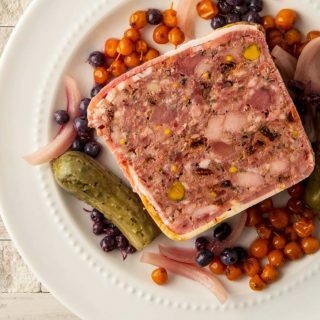 How to make a nice terrine with pork and whatever bits of game you might have lying around. 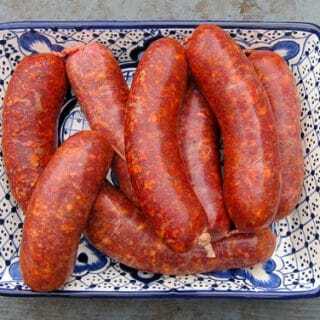 A recipe for ground venison jerky, a great use of lean ground meat. 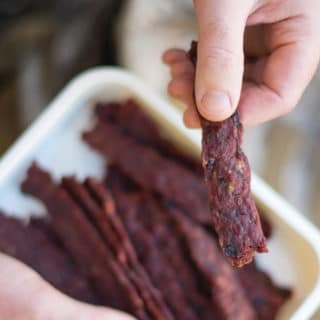 This recipe mimics Native American pemmican. 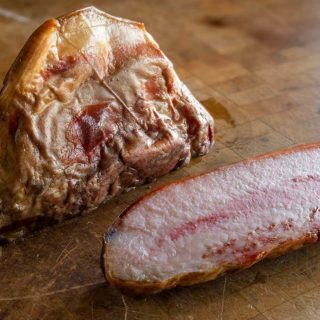 How to make jowl bacon using jowls from domesticated or wild hogs. 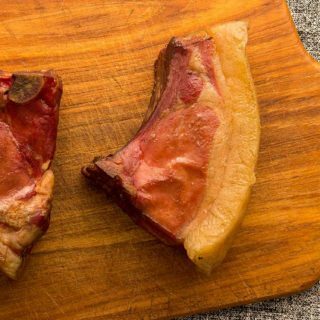 Jowl bacon is a Southern specialty. 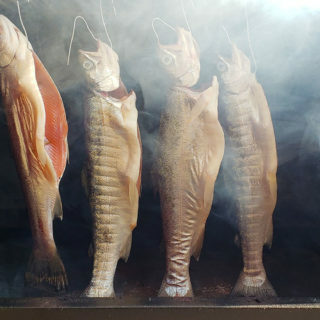 This is how I smoke whole trout, using small to medium-sized fish brined, dried and smoked over alder wood.